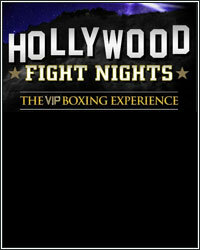 Tom Loeffler’s 360 Promotions sensational ‘Hollywood Fight Nights’ series returns for its highly anticipated fourth event of The VIP Boxing Experience on Tuesday, October 30 at the AVALON in Hollywood, CA. The 23-year-old Bohachuk, a native of Ukraine now calling Los Angeles, CA home, has compiled a record of 10-0-0 with all the victories coming by knockout since turning professional in February 2017. Making his third appearance on the Hollywood Fight Nights series, Bohachuk returns to battle after a fifth-round stoppage of Nikolozi Gviniashvili on July 21, 2018 in Moscow on the undercard of the World Boxing Super Series Cruiserweight Final. He is trained by the world renowned Abel Sanchez in Big Bear Lake, CA. On October 30, Bohachuk will face St. Petersburg, FL native Manny ‘Shake Em Up’ Woods, (16-7-1, 6 KO’s) in the eight-round junior middleweight main event. Woods has faced numerous top contenders over his nine years as a professional including Kermit Cintron, Tyrone Brunson, Jimmy Williams, Travis Scott and Wilky Campfort. In the six-round co-featured bout, featherweight Humberto Rubalcava, (8-0-0, 6 KO’s) of Orange, CA will clash with Robert ‘Escorpion’ Pucheta, (10-14-1, 6 KO’s), of Jalisco, Mexico. Making his Hollywood Fight Nights debut, the 23-year-old Rubalcava returns to the ring following the biggest win of his young career; a third-round knockout of Ricardo Cuellar on February 15, 2018 in Costa Mesa, CA. The 28-year-old, upset-minded Pucheta has clashed with numerous, undefeated prospects including Diego De La Hoya, Shawn Simpson and Marcus Bates. Most recently Pucheta lost a hard-fought six round decision to Luis Rosales on the June 6 Hollywood Fights Nights event. In the middleweight division, top prospect Jonathan ‘Diamante’ Esquivel, (7-0-0, 7 KO’s), of Anaheim, CA will face Brahmavigi ‘Rowdy’ Montgomery, (5-1-1, 4 KO’s), of Hesperia, CA. The 23-year-old Esquivel makes his triumphant return to the Avalon following a first-round knockout of Joan Jose Valenzuela on September 8, 2018. In his first bout at Hollywood Fight Nights, Esquivel stopped Sergio Lucio Gonzalez in the third stanza on June 6, 2017. Montgomery is currently riding a four-bout winning streak, all by knockout and will be making his Hollywood Fight Nights debut. Also featured on October 30 in the junior welterweight division in a scheduled four rounder, Devon ‘The Great’ Lee, (5-0-0, 5 KO’s), of Sacramento, CA clashes with Kevin Alfonso Luna, (1-1-0, 1 KO), of Downey, CA. The 23-year-old Lee is off to a very impressive start as a professional with his last four fights ending in first round knockouts. Luna looks to bounce back into the win column following his first loss in June 2017. In the junior lightweight division over four rounds, Jaime Miranda, (2-2-0, 2 KO’s), of Kalispell, MT clashes with Teodoro Alonso, (0-2-0), of Los Angeles, CA. Also featured in separate four-round bouts and returning to Hollywood Fight Nights are unbeaten prospects; featherweight Adrian Corona, (1-0-0), of Rialto, CA and cruiserweight Marco Deckman, (1-0-0, 1 KO), of Germany, now based in Los Angeles, CA. Deckman is trained by Hall of Famer, Freddie Roach.